Treating cancer with hydrogen, oxygen and carbon dioxide is an approach that treats the fundamental reasons cancer cells form and get aggressive in the first place. Cancer should be treated, not like the genetic disease it is not, and more like the metabolic disease it is. In relation to various aspects of emergency and critical care medicine researchers report hydrogen useful for acute myocardial infarction, cardiopulmonary arrest syndrome, sepsis, contrast‐induced acute kidney injury, and hemorrhagic shock. Hydrogen gas has even been used to attenuate oxidative stress in a rat model of subarachnoid hemorrhage. When you are under great stress and must continue at high performance hydrogen medicine should be right by your bed or sitting under your desk at the office or both. Think of a deep-sea diver down 2,000 feet. Incredible stress and pressure. To stay alive down there divers breathe 96 percent hydrogen and only 4 percent oxygen. Inhaling hydrogen gas (with oxygen included) with a hydrogen inhalation device, from a cell’s point of view, is like standing under a waterfall that invigorates even as it cools. Hydrogen will help anyone stay alive longer no matter what their situation. It time for the world to embrace hydrogen as a clean energy carrier to save us from the pollution nightmare that is affecting every urban center in the world the world. It is also time for modern medicine to wake up to the power and purity of hydrogen as a medicine. Hydrogen produces zero toxic emissions when used for energy and it has zero side effects when used as a medicine. Hydrogen belongs in ambulances, emergency centers and Innovative ICU departments (Intensive Care) right alongside oxygen, which does not quite work as well as needed without hydrogen being present in abundance. Imagine water without hydrogen and you will get the significance of combining oxygen and hydrogen gas as the ultimate way to stabilize critical patients. It is hard to lose with hydrogen. H2 inhibited cell viability, migration and invasion, and catalyzed cell apoptosis. Hydrogen helps us fight cancer directly minimizing its spread. It is useful as an effective adjunct to radiation and chemotherapy treatments moderating their toxic effects because of its ability to cool oxidative stress. The most recent research out of China suggests that molecular hydrogen may exert anti-tumor role in ovarian cancer. In 1975, an impressive study demonstrated that hyperbaric molecular hydrogen therapy could be a possible treatment for cancer. In this study, the researchers showed that exposing mice with skin cancer (tumors) to 2.5 percent oxygen (O2) and 97.5 hydrogen (H2) for two weeks produced a dramatic and significant regression of the mice tumors. A similar effect of hyperbaric hydrogen on leukemia was reported in 1978. Hydrogen Medicine is revolutionary, it holds the potential to save lives, reduce suffering and make one beautiful and young again through its anti-aging effects. Importantly, with the increases of man-made nuclear radiation (think Fukushima), medical tests that use radiation, strong increases in cosmic rays (caused by Grand Solar Minimum), which is making air travel more dangerous, especially for pilots and crew, and the coming of G5 telecommunications, which has not been tested for safety, hydrogen gas therapy is becoming essential to mitigate the increases of oxidative stress. 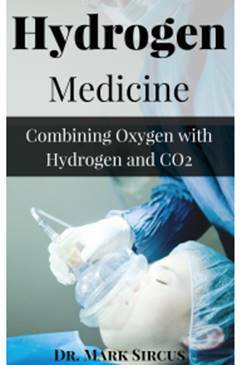 A hydrogen and oxygen gas machine is probably the first piece of medical equipment that one should allocate one’s financial resources towards for it offers a fundamental treatment for almost all disease conditions. It is not a cure all and should be used in the context of a full protocol with especial attention paid to increasing CO2 levels through the use of sodium and potassium bicarbonates and slow breathing.